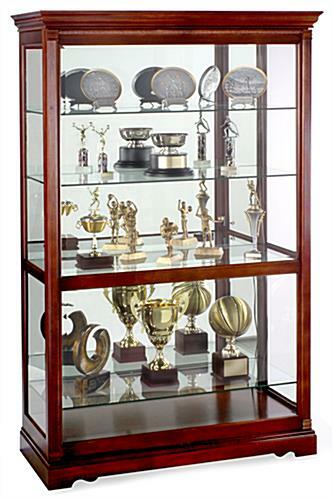 Choose this display cabinet from Howard Miller! 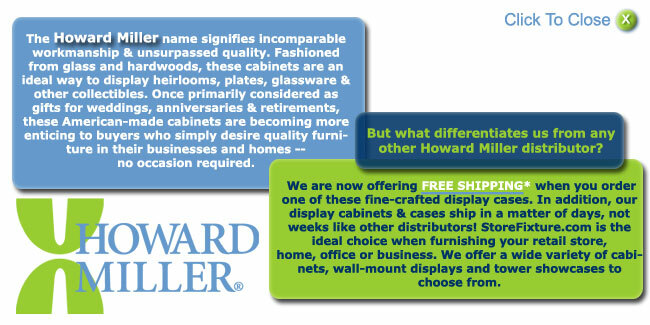 We have a vase selection of Howard Miller cabinets to choose from! 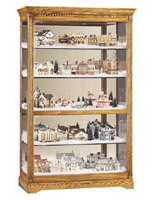 An adjustable power receptacle cord runs down an interior corner for lighted collectibles at any shelf level. A No-Reach™ light switch to provide easy access to lighting. 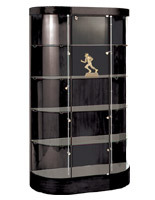 Sturdy shelves adjust to allow versatility in collectible height and weight. 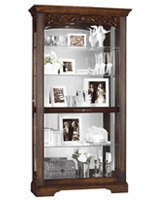 Grooves ensure the safety of dishware and other vertically oriented items. 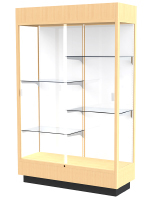 Built-in levelers to help steady the display case. 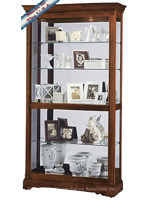 A display cabinet by Howard Miller is a great investment for a family. 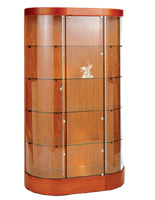 These display cabinets are crafted from only the finest, hand-selected hardwoods. 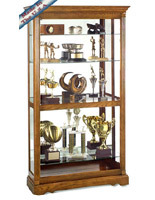 Buying a display cabinet from Howard Miller means you are buying a top quality piece of furniture, crafted so well and made from such fine materials, it is sure to be passed down from generation to generation, as a family heirloom. 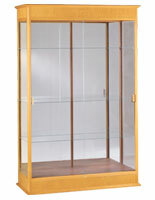 This display cabinet weighs 315 lbs, ships FREIGHT.